The Commons vote on Tuesday will not be delayed, the Brexit Secretary has said, amid growing calls for the PM to go back to Brussels to renegotiate. Stephen Barclay also said Theresa May could stay in post if, as expected, MPs reject her Brexit plan. The PM has warned Tory rebels it could lead to a general election, and there was a “very real risk of no Brexit”. Boris Johnson said the PM could stay on if she lost but must renegotiate the deal with Brussels. The withdrawal deal negotiated between the UK and EU has been endorsed by EU leaders but must also be backed by Parliament. But the government is widely expected to lose next week’s vote with Labour, the Liberal Democrats, the DUP, the SNP and dozens of Conservative MPs saying they cannot support the deal. European Council President Donald Tusk tweeted on Sunday it would be “an important week for the fate of Brexit”, after a phone call with Theresa May. 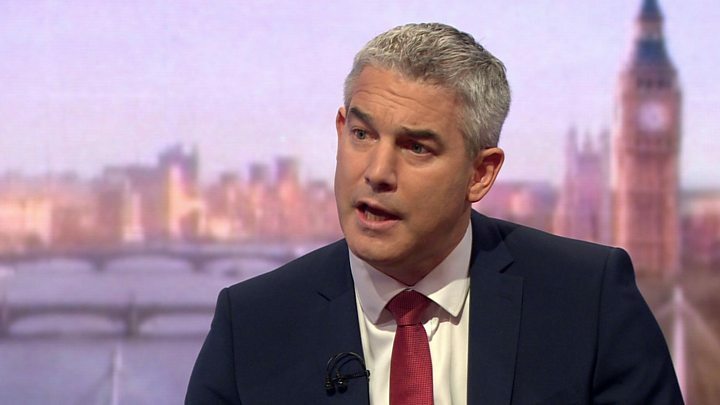 Despite newspaper speculation it could be called off, Brexit Secretary Stephen Barclay said: “The vote is going ahead and that’s because it’s a good deal and it’s the only deal”. What did Boris Johnson propose? 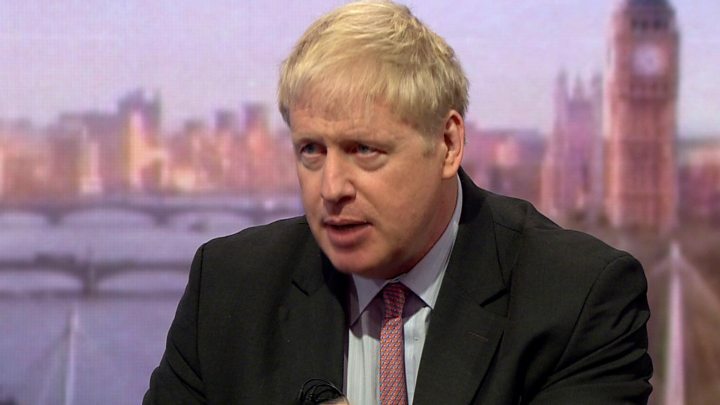 Mr Johnson, who quit the cabinet over Mrs May’s Brexit strategy, told the BBC he did not want a “no-deal” Brexit or another referendum, but it was not right to say there were no other alternatives. He said the Northern Ireland “backstop” – effectively an insurance policy to prevent a hard border if no free trade deal is struck in time – put the UK in a “diabolical negotiating position”. MPs could give Mrs May “a powerful mandate to change that backstop” by voting it down on Tuesday, he said. The border issue should instead be covered in negotiations over a future trading relationship with Europe, he said, and the UK should “incentivise” the EU by withholding “at least half” of the UK’s agreed £39bn “divorce” payment, until a free trade is signed at the end of 2020. He dismissed suggestions he had already offered other Tory MPs jobs if they backed a future leadership bid by him as “nonsense” and said the public wanted to see a plan “to get out of this mess” rather than “stuff about leadership elections and personalities” – although he did not rule out challenging Mrs May for the leadership. And the former foreign secretary, a key figure in the 2016 campaign to leave the EU, said: “Don’t underestimate the deep sense of personal responsibility I feel for Brexit and what’s happened. Some Conservatives are urging Theresa May to defer Tuesday’s vote, fearing a humiliating defeat which would destabilise the government. They hope more clarity or compromise on the backstop issue can be provided – and some wavering Tories won over. But others point out that no acceptable compromise has been found so far – and question whether one will be found now. They also point out that Brussels has shown little enthusiasm for revisiting the backstop. Indeed there are some who believe only a strong rejection of Theresa May’s deal will encourage the EU to rethink. The Brexit Secretary said the vote would go ahead. With some still seeking to persuade the prime minister, it cannot be completely certain the vote will go ahead until Monday. What happens if the deal is rejected? If the deal is rejected, it is unclear what happens next. Mrs May told the Mail on Sunday it would mean “grave uncertainty for the nation with a very real risk of no Brexit or leaving the European Union with no deal”. Protesters calling for another referendum to decide the issue were joined by politicians from across the political spectrum at a rally on Sunday, including Tory peer Lord Heseltine, Green MP Caroline Lucas, and Labour MP Rosena Allin-Khan. 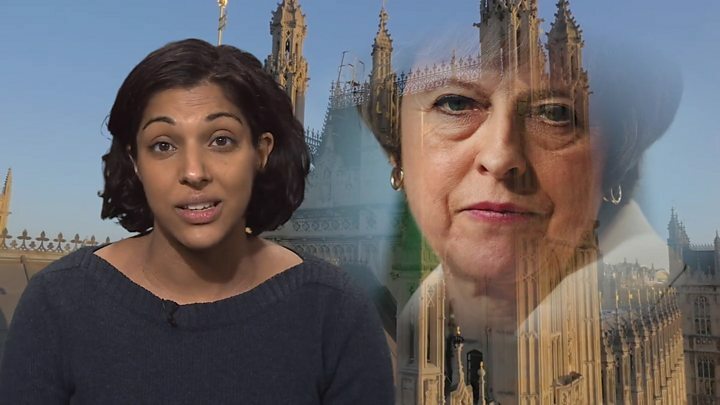 She was careful to say that the vote should only take place if there was not a general election – it is Labour Party policy to call for an election and, only if that does not happen, to keep “all options” open, including a referendum. And former Tory leader Iain Duncan Smith said there was “a very large chunk of people who would feel utterly betrayed” if another referendum was called. A UKIP-organised “Brexit Betrayal” march also took place in London, amid controversy over leader Gerard Batten’s decision to appoint controversial activist Tommy Robinson as an adviser. On Saturday, Work and Pensions Secretary Amber Rudd suggested a so-called “Norway Plus” option – which would see the UK remaining in the European Economic Area and joining a customs union with the EU – could be another possibility, if the deal was rejected. But Mr Barclay told the BBC: “I don’t think it honours the referendum result” – saying it would not give the UK control over immigration. Esther McVey, who quit the cabinet over the deal, also said Mrs May should “immediately” renegotiate with Brussels, if MPs reject her deal. Asked if she would consider a leadership bid, she told Sky News it was not about “personalities” and she would back the PM if she renegotiated the deal. But she did not rule it out, saying she’d give it “serious consideration” if she were asked to stand. Justice Minister Rory Stewart told the BBC that the government “should come back again” to Parliament if it loses Tuesday’s vote, potentially with some “small adjustment” to the deal but suggested some MPs were using the backstop “as an excuse” to reject it. What are Labour’s plans if PM loses vote? Shadow Business Secretary Rebecca Long-Bailey would not confirm that Labour would immediately put down a motion of no confidence in the prime minister. She added that the PM should call a general election, having lost a key proposal, but added “alternatively she could offer to renegotiate around a deal that would provide consensus in Parliament”.